Adequate calcium intake, along with a healthy diet and regular exercise, helps build and maintain a healthy bone structure. 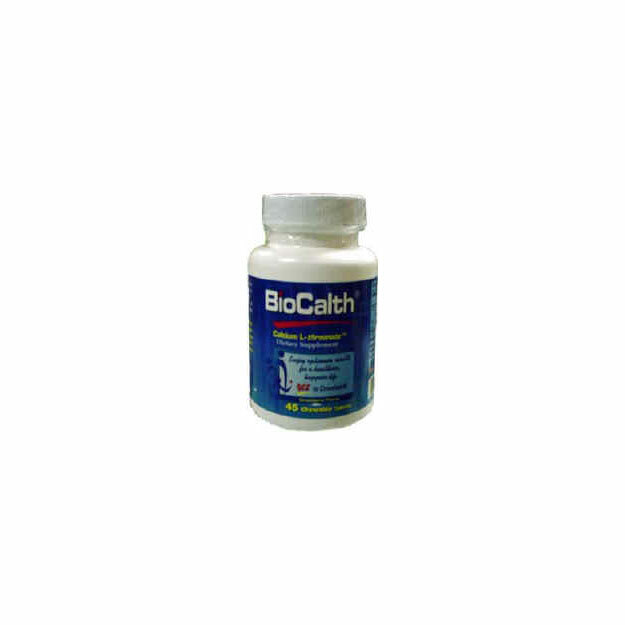 BioCalth is designed to build and maintain good joint and cartilage health containing 775 mg or Calcium L-threonate per serving. Other ingredients: Mannitol, Maltodextrin, Citric Acid, Strawberry Flavor, Stearic Acid, Magnesium Stearate, Sucralose, FD&C Red #3. Adults, take 1 tablet, 3 times a day or as recommended by your physician or health professional.